When Rafael van der Vaart first joined Hamburger SV in 2005, the Hanseatic metropole seemed a somewhat unlikely choice. The Netherlands international, rated one of Europe's most promising players, was joining a side whose last notable success - a Bundesliga and European Cup double in 1983 - came in the year van der Vaart was born. 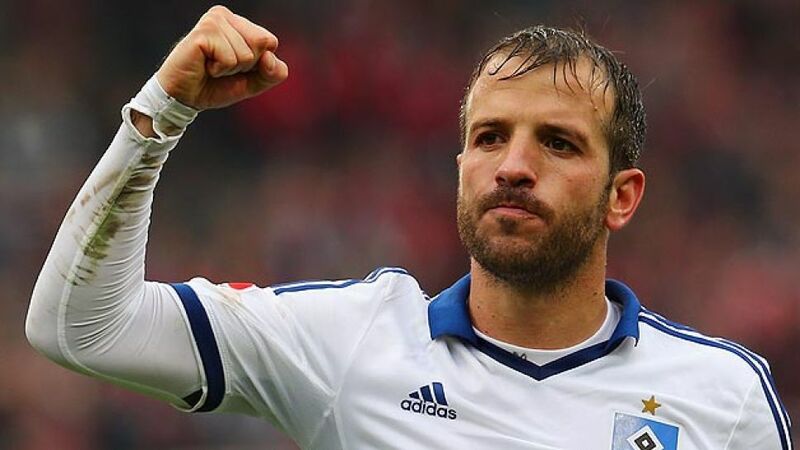 "I don't know what to say about it or what Rafael van der Vaart is doing in Hamburg," Dutch legend Johan Cruyff wrote in a column for the newspaper De Telegraaf at the time. However, the pressures of captaining an AFC Ajax side in decline, a series of knee injuries and being a constant target for both the media and opposition fans had taken its toll on the then 22-year-old, who decided the short cross-border switch to Germany was the right thing to do. He was right. Van der Vaart soon became a crowd favourite and then made skipper as his 29 goals and 35 assists in 74 Bundesliga matches helped the Red Shorts to three successful seasons - including qualification for the UEFA Champions League at the end of his first year there. In 2008, van der Vaart realised his dream of joining a top European side in the form of Real Madrid. There, despite getting off to a good start, he never quite made the hoped-for impact and the next staging post in his career was the English Premier League, and Tottenham Hotspur. Another 25 goals in 63 top-flight appearances was no bad return for the technically accomplished playmaker, but HSV was always a club that tugged at his heart-strings and when the opportunity arose to return to his former haunt in the summer of 2012, he packed his bags and returned to hero's welcome. "My return to Hamburg is a dream come true for me and my family," van der Vaart commented after re-signing for the Red Shorts. "I want to help the team rediscover their self-confidence, but I'm no Superman." That, though, is a point many a HSV fan may be tempted to dispute, as he has become the lifeblood of the club once again, leading HSV to a seventh-placed finish in 2012/13 and preserving their status as the top flight's only ever-present club.